Adopted by IMO as an alternative to 9GHz SART. 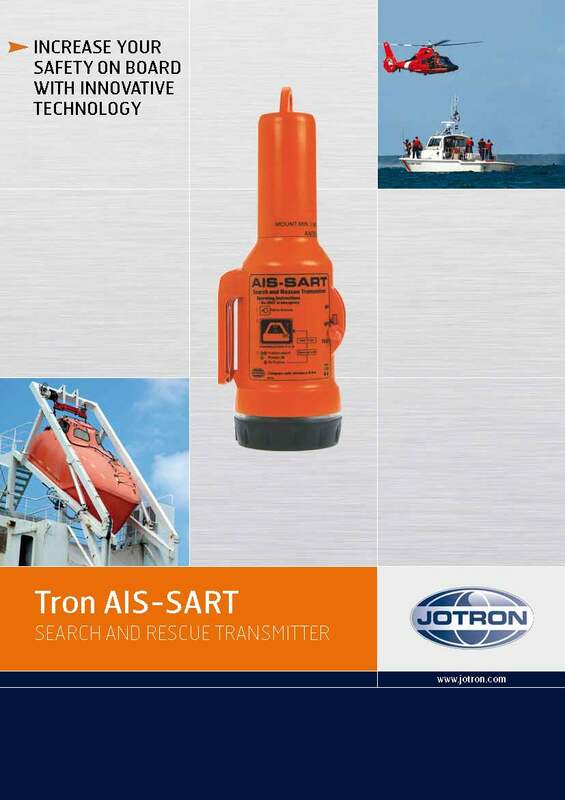 The Jotron TRON AIS-SART is a fully approved Search and Rescue transmitter (SART) that complies with IMO regulations and adopted by IMO as an alternative to 9GHz SART. Unique AIS technology contribute to a more effetive and less time consuming SAR operation, due to superior position accuracy. 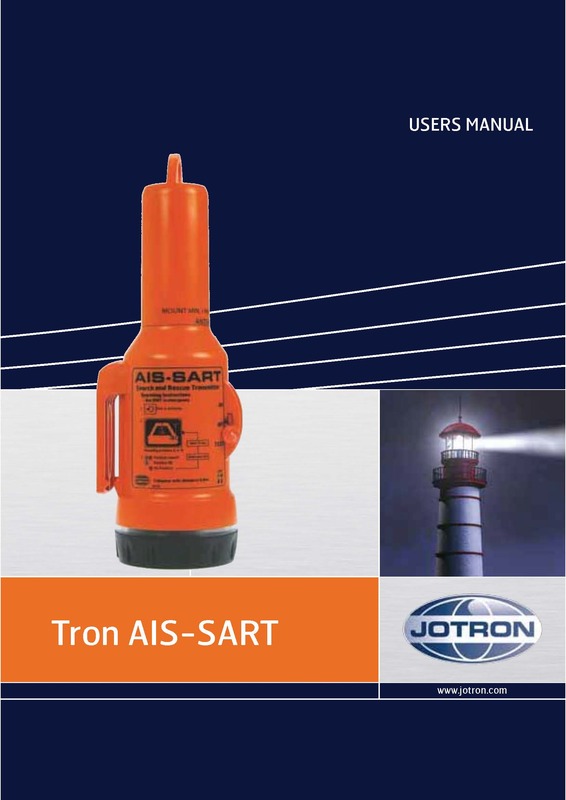 The AIS-SART is detected on both AIS class A and B.
Jotron TRON AIS-SART use the same accessories as the TRON SART 20 (bulkhead bracket, pole, life-boat bracket and neoprene protection bag). Signaling: Broadcasts position message, 8 bursts every minute. 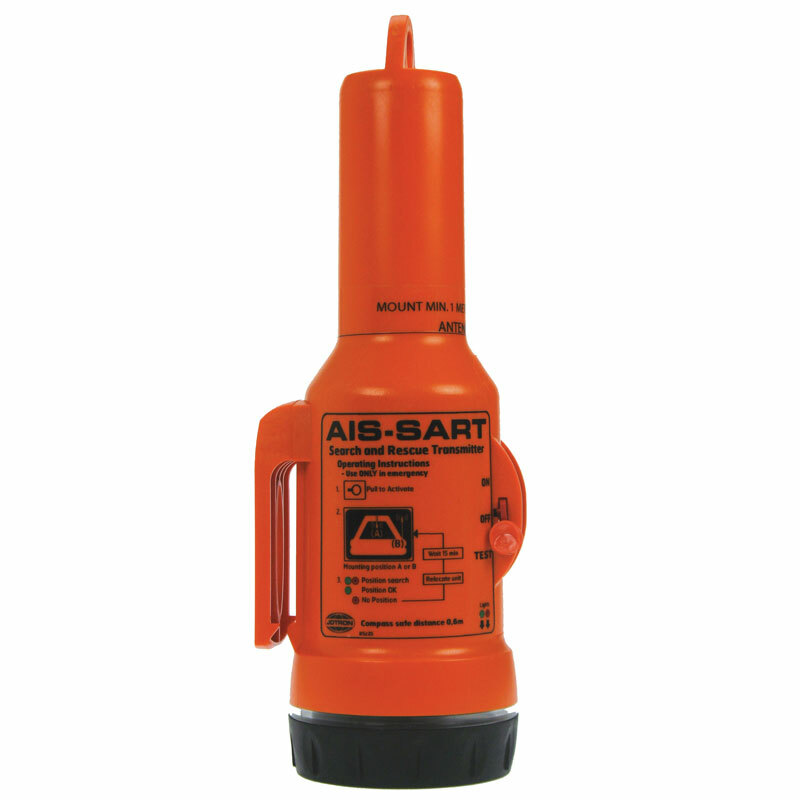 Broadcast safety message "SART ACTIVE"